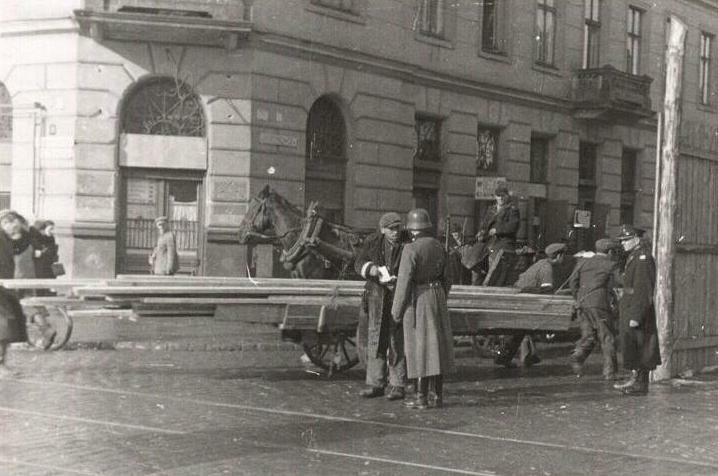 Having learned about the mass murder of Jews in the Chelmno killing center and the deportations from Cracow to the Belzec death camp in June 1942, the Jewish fighters decided to respond with armed resistance against the Nazis. The Jewish streets are an appalling sight- the gloom is indescribable. There are dead bodies at several places – No one is counting them and no names are being given in this terrifying catastrophe. The Cologne War Criminals Trial against Lischka, Hagen and Heinrichsohn was one of the most important trials of ex-Nazis. On the 2 February 1980 the Cologne County Court found Lischka guilty of war crimes and sentenced him to ten years’ imprisonment. Jewish revolt! The Underground Leaders!! The night of broken glass! ...Von dem Bach and Wolff protested that the sick people were not guinea pigs, but Himmler decided in favour of the attempt. Much later Nebe confided to von dem Bach that the dynamite had been tried on the inmates with woeful results. The Sonderkommando Revolt at Auschwitz! Oskar Schindler "He who saves a single soul , saves the world entire" The Jewish Inscription on Schindler’s ring given to him by the Jews at Brunnlitz. Mass shootings outside Lublin in the Krepiecki Forest!